QNE Optimum Advance is the perfect accounting software package for service-oriented companies with sales and purchase operations, logistics, tracking, shipping and bookkeeping. 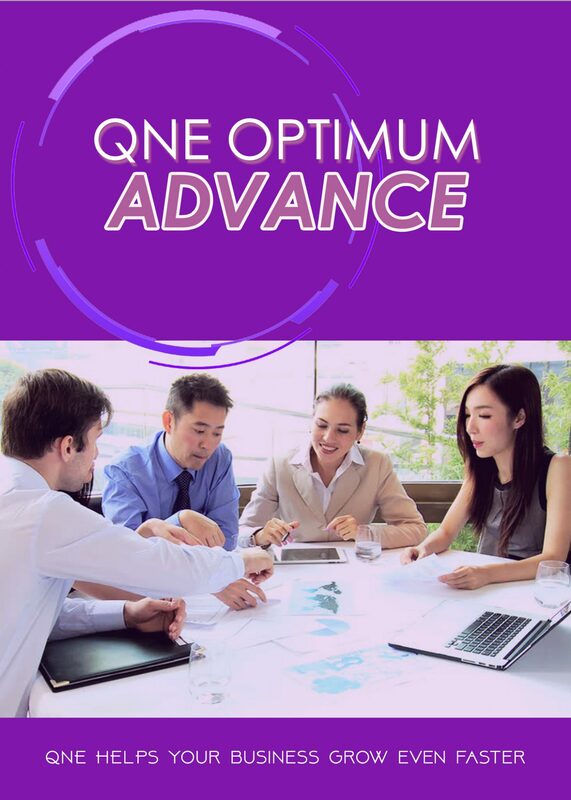 QNE Optimum Advance Package has Sales and Purchases management module. For Sales, Quotation, Sales Orders, Delivery Order up to Sales Invoice can be added as transactions while for Purchase, from Purchase Requisition, Purchase Order, Goods Receive Notes to Purchase Invoice. QNE Advance can assist your business to handle full set account and onsite implementation is already included in the Package. QNE allows you to control post-dated cheque, customer/supplier statement can be print out with a listing of all the post dated cheques received. QNE allows user to print comparison profit & Loss Statement with budget report. Once you have saved a transaction for example an sales invoice, QNE will do the posting automatically. Furthermore, user can print out the customer statement with updated invoices. QNE calculate the forex gain or loss automatically. User allows printing a profit and loss comparison report for the last 2 year with the current year. You can print a comparison profit & Loss statement first quarter with 2nd quarter, last week with this week, yesterday with today etc. The system allow you to do daily bank reconciliation, the system capture the cleared date for the bank reconciliation instead of month.